This is 6.8 SPC Hornady 120gr. 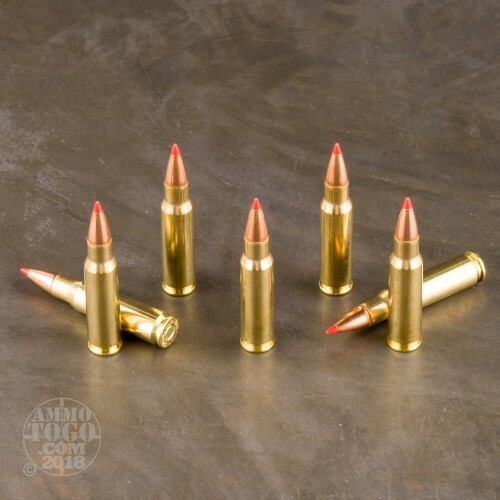 SST Polymer Tip Ammo. 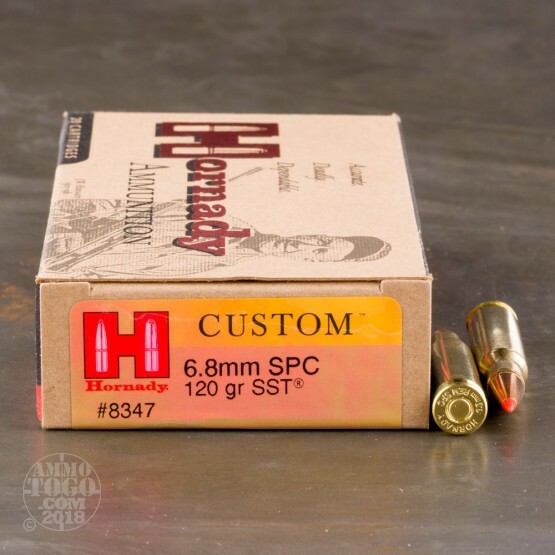 The Hornady SST bullet is streamlined for ultra-flat trajectories. 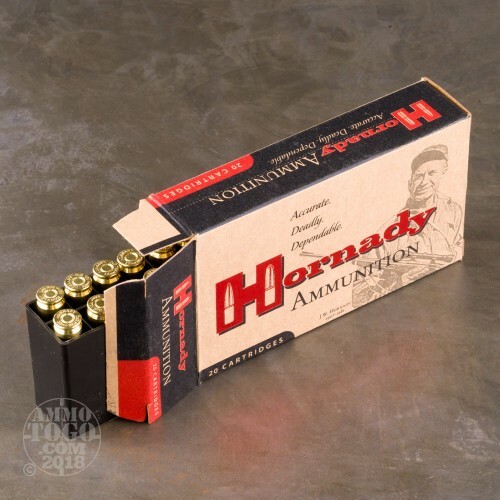 Polymer tip allows for rapid expansion and maximum energy transfer. Match-grade jacket delivers surgical accuracy. Heavy construction with InterLock feature delivers deep penetration every time. 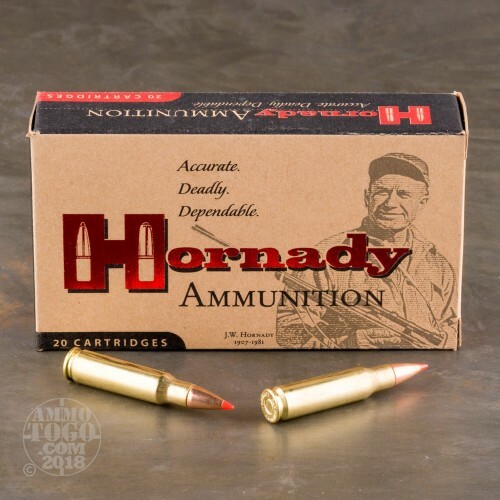 This ammo is packed 20rds per box, 200rds. per case.